It isn't anything new for people with fame and fortune to want exotic pets. They may think domestic pets aren't as shocking to them or their fans or that with money comes the power to own whatever they want. Historically, royalty and the wealthy owned exotic cats, elephants, bears and more — pets that the average citizen could not acquire or afford to care for. Recently a Grammy-nominated rapper named Tyga debuted his pet tiger to the world — a mistake that may have been the best thing for the exotic cat. Owning pet tigers is actually legal in some states without a permit. But where the rapper Tyga lives, they are not allowed to be kept as pets. California lists tigers as a "restricted species" which means Tyga was illegally keeping his pet tiger cub. Tigers are dangerous, strong, wild animals that are nowhere near domesticated. They require massive amounts of food on a daily basis and are not good pets. Tyga apparently was unaware of the legal issues regarding owning a pet tiger in the state of California and placed the tiger in a private shelter before the California Department of Fish and Wildlife got an anonymous tip. Officials then transferred the tiger to a safer facility that can house tigers. Tyga may face fines and prison time for housing an illegal animal. Getting a tiger cub sounds really cool. And for a few months, they are like giant kittens that play pretty rough. But soon they reach hundreds of pounds and become expensive to feed. They require large, secure enclosures with enrichment activities and places to explore. The average person is vastly incapable of caring for a full grown tiger. So what do people with growing tiger cubs do? They think they'll just find it a new home once it gets too big for them. But that isn't easy. How many places do you think can afford to care for big cats, have the space to care for big cats and are legally allowed to do so? There are very few facilities that have the means to keep both a tiger and the general population safe while providing an acceptable quality of life. Many times just transporting the tiger safely to a facility can be very costly. There are a few tiger sanctuaries across the United States but they can only care for so many big cats at a time. 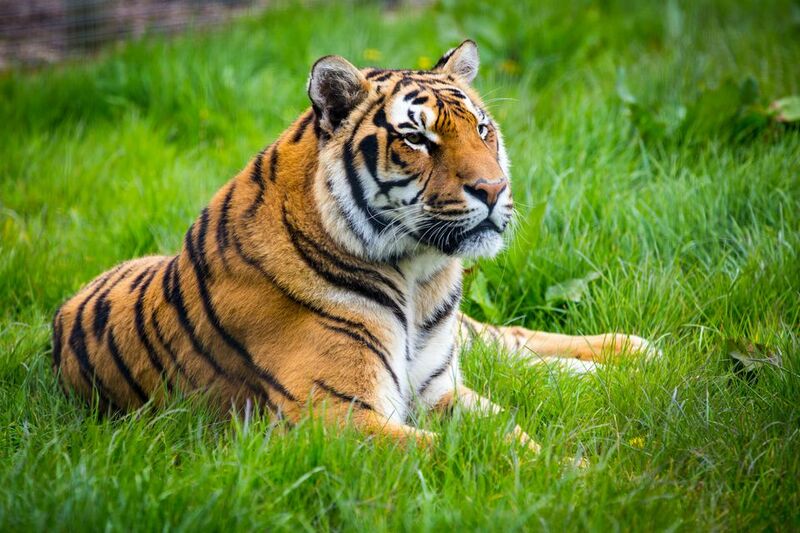 There is often a waiting list for owners looking to rehome their pet tigers. What Does a Pet Tiger Cost? It is easier than one may think to acquire a pet tiger. Online ads, word of mouth, exotic animal auctions and other outlets make finding a pet tiger easier than it should be. If you have an extra $2,500 to $3,000 laying around, you may be able to purchase a tiger cub. But that's just the initial expense. Don't forget about special transportation for your soon-to-be large cat, veterinary costs (if you can find a vet to treat your big cat), enclosures and repairs (because these cats are strong! ), food, food storage, toys and more for twenty or more years. Tyga obviously wasn't thinking, nor did he do the research when he acquired his tiger cub. He thought it was cool and showed the cat off online at home and in the recording studio. But at least he turned the cat into a shelter (albeit a dog and cat shelter initially) and didn't just let the tiger loose in California. Let's hope rapper French Montana comes to his senses as well (he recently stated he got really high and bought two tiger cubs).